Other would-be customers tried the locked front door, which offered no sign or explanation for the closure. 'I'm supposed to meet someone here for a birthday party,' one perplexed woman said. 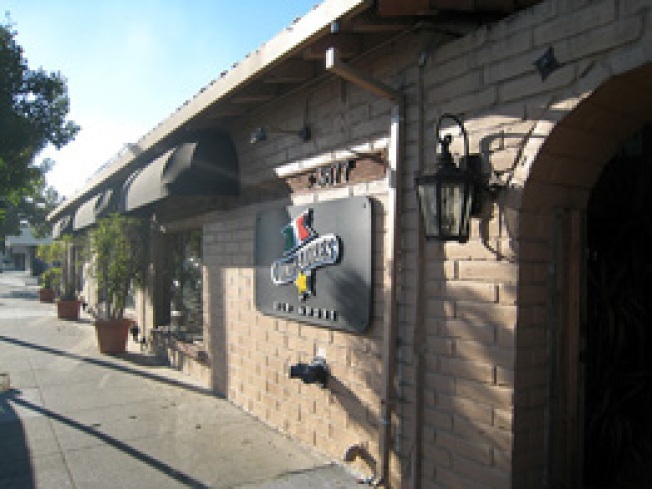 The Palo Alto restaurant, at 3877 El Camino Real, had been in business for 23 years and had been rated best Mexican restaurant in reader polls ... "It's a shock. I still can't believe it," [General Manager Scott] Enos, who was caught off guard by the surprise closing, told the Weekly. Thus far, the only explanation that has been suggested is a "bank thing," which would seem to be the only thing that could shutter an entire institutional chain in an instant, though we suppose this should effectively quell all those rumors of a formal Compadres restaurant opening in San Francisco (they were looking at the Bayside space after it first shuttered in January). Still no word on what happened to the perplexed birthday party-goer. UPDATE: As pointed out in the comments and confirmed by the restaurant, Napa's Compadres is still open. It's apparently the only one unaffected by the mess because the partnership situation is structured differently there. Meanwhile, the Compadres website has been suspended.